If you build onto an existing home you will need to submit plans and comply with the “new” building regulations, including Part XA which deals with energy usage. 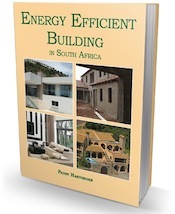 In general, the National Building Regulations are not retroactive in their application. This means that if you are adding to or altering a building, you won’t have to ensure that the entire building complies with new regulations that have been imposed since the building was originally erected. This will be of particular interest to people who are concerned about the implications of the new energy efficiency legislations and regulations. But if you need plans for any additions or alterations, then you will need to ensure that the new section of the building complies. Part A of SANS 10400, General Principles and Requirements, deals with alterations and additions. will affect the health of persons using the original building. In addition to the above, the law-makers are aware that problems might arise when alterations or additions are carried out on buildings that were erected in compliance with earlier building by-laws. In the case of such an addition the local authority (which is of course the body that will approve any plans that might be required for such an addition or alteration) might decide to treat the new portion as an entirely separate part. If this happens, then the alterations will have to be designed to comply with the National Building Regulations “without having any effect on the original portion of the building”. This is not likely to happen often with alterations, though the local authority will decide “to what extent that part of the building which is not to be altered should comply with the National Building Regulations”. Generally they will be more stringent when it comes to the application of fire regulations (Part T, Fire protection), and particularly when it comes to escape route requirements. Since this doesn’t affect “dwelling houses”, it is unlikely to have any effect on residential buildings. Their primary concern is the health and safety of those people using the building. But they advise local authorities that any decisions “should be within the context of what might be practical and economically sound in an old building. If an owner or entrepreneur cannot alter a building to suit his purpose at a cost which will enable him to have a reasonable economic return, he will probably not alter the building at all. This could lead to the perpetuation of a situation which might be dangerous but one which is in compliance with old by-laws and is thus perfectly legal. Such a situation could often be considerably improved by making certain changes that are practical and economically sound even though they would not provide the same standard as would be expected in a new building. I want to make a car port next to my garage wall, the car port get to 0,6 m from my neighbours boundary. Our properties is in a holiday resort area and there is no fences or walls between the properties. How far am I allowed to come from the boundary with my car port. The Resort has got no rules regarding the distance you are allowed to build from the boundary. I pay property tax to the Municipality. Must I comply with the Municipality’s bylaws regarding building distances from the boundary ? Hi Corrie, mmunicipalities normally have a one meter building line. But because you are in a resort they might have their own rules, check with your management. Mostly if you make an arrangement with your neighbour and they agree then you may build closer. Do any agreement in writing and keep it safe. I wish to turn my double garage into a granny flat. I want to extend the garage with about 3m. The garage is not free standing but part of my existing home. I am staying in Brackenfell. Do I have to (a) submit a plan (b) will it be allowed and (c) what else must I do first to make it happen? Yes you do need plans. I have no idea whether the council will allow the extension. One factor will depend on how close to the boundary you are building. HI, I also need to hit out a non-bearing wall between kitchen and lounge to make it open plan. How do i get hold of council to ask if I need all these approval steps just for that? Then if I want to tile my bathroom or put new laminate flooring in, do I need permission for that? Phone the council and ask if they need to approve removal of a non load bearing wall. Or go into their offices. You do not need any form of approval for tiling or flooring. I am a director of Homeowners Association NPC Company for a cluster complex comprising eight freehold units. A recent buyer of a unit has started doing building operations ( extending an upstairs bedroom by approx. 1.5 m onto an upstairs balcony). In terms of our MOI ( Rules etc) he should have sought our approval before commencing building. He has not submitted plans to the authorities or sought approval from close neighbours. Construction was well advanced before we became aware of it and we cannot really stop it now. We do not condone his actions and have requested that he submit plans for approval by the authorities ASP. We want to put some time restriction on him getting approval. Not an ideal situation at all. Would appreciate your advice on how we should handle this. You and/or the council/local authority can force him to stop work until the necessary permission is given. Don’t just let him continue or it will establish a precedent with other residents. Hello. If two dwellings are connected by a wall that is perpendicular /at a right angle to both properties, are they considered as attached or detached from each other? Meant perpendicular to both dwellings which are on the same Erf. My husband and I own a property jointly. If the owner of the property next to ours has plans drawn up to add a double garage onto his house is it necessary for him to get both of our signatures for approval of his plan? Ask the council. I can’t give you approval and don’t know whether they want approval or not – it’s their prerogative. I cant see any of the comments of this page? Is there a setting I am missing? thanks for alerting us about this. There was a conflict with some of the coding, we have now sorted this out and the comments are now displaying correctly.